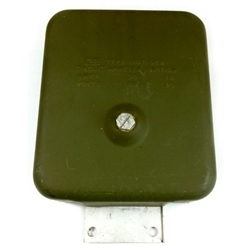 Box, filterette, with two bolt cover (mounts underdash). These are NOS WWII units. Supply is limited. Very visible part for high end restoration.